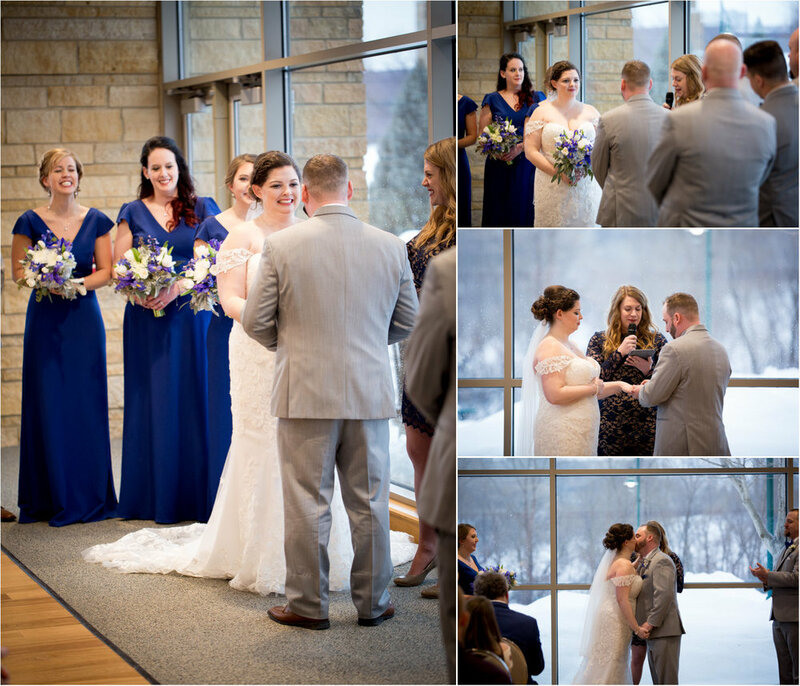 Brenna and Josh were married last month at The Eagan Community Center in Eagan, Minnesota. It seems fitting to share these photos with you today, as the snow if coming down like crazy, because their wedding day was on the day of our last big snow storm. It was the classic spring snowstorm of softly falling magical snow (call me crazy, I think it’s magical!) and we were happy to find that Brenna and Josh were just as excited as we were at the end of the night to step out into that softly falling snow for some night photography! 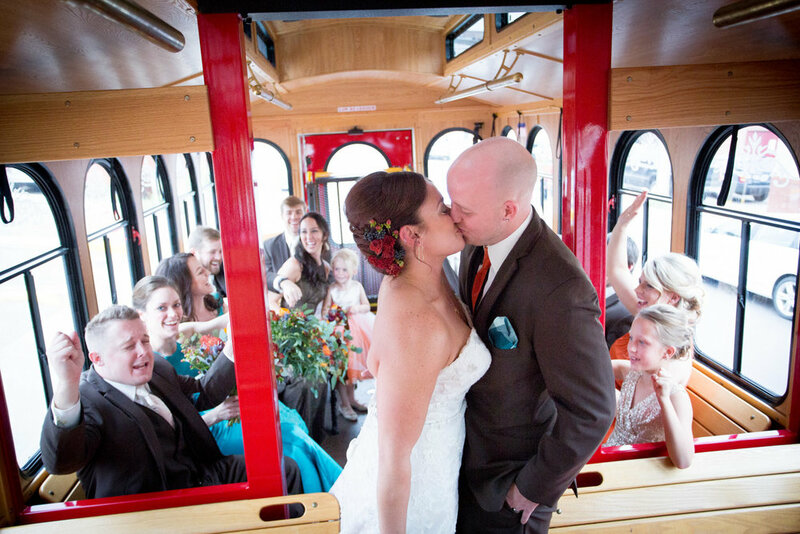 Julia and Max tied the knot at St. Mary’s on the Lake in White Bear Lake in January! It may have been a frigidly cold day, but with plenty of velvet and fur to go around, no one even flinched at stepping outside for a few photos! After saying I do, the two celebrated at their reception at 7 Vineyard Winery in Dellwood. 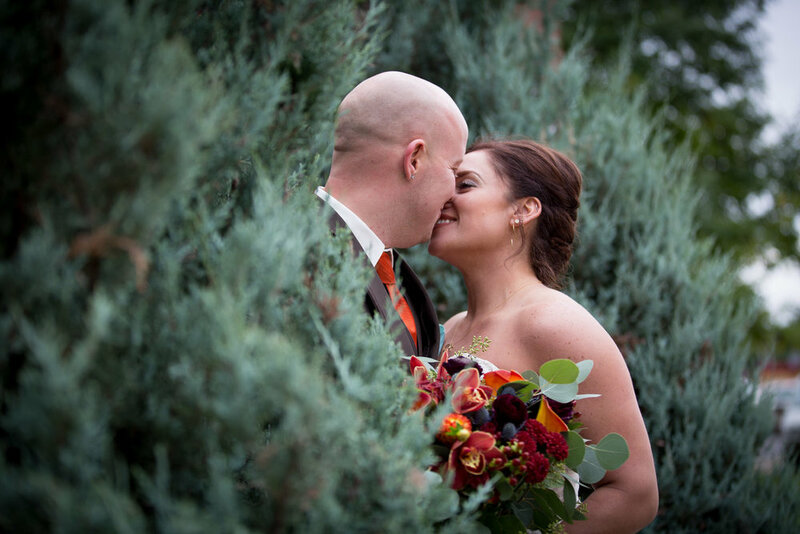 Cornerstone Studios is not just a co-working studio, it’s also the perfect solution for couples wanting a cozy, intimate space for a wedding ceremony and reception. We put together a styled shoot to give you an idea of how the studio can be used! 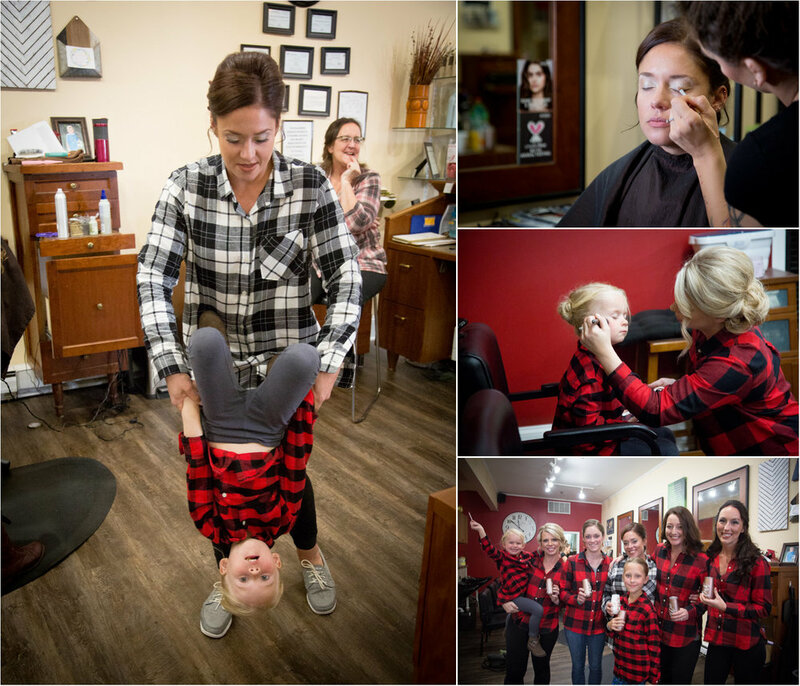 Erika and Shane tied the knot last month at the newly renovated, Weddings at the Broz in New Prague, MN. They opted for an early ceremony, celebrating over brunch after they saying “I do”. With the mid morning light just pouring in through those stained glass windows, it was a magical morning complete with a duet sung by the bride and her brother, you can’t get much better than that!